Saturday we celebrated Nadine's 14th Birthday! But it was also a birthday of a lot of firsts. First wearing of corny birthday hat. Nadine has a great birthday party and then got her hair did in braids and then yesterday morning she boarded a plane for the Buckeye State! Finally! 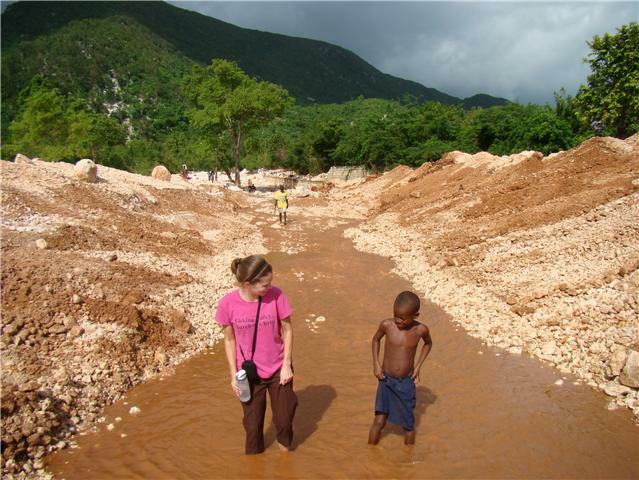 I met Nadine 4 years ago out in a small village in Haiti. We have looked for care for her for 4 years. Prayed for 4 years. Watched her suffer pain and ridicule. Helped her mother feed her nutritious food and milk. Now to watch her board a plane to OHIO, heading to my old hospital, Nationwide Children's, to be treated for free by doctors, NP's, nurses and nurses aides I personally know...gives me hope. Gives me hope in a God who tells me to cast my cares on Him, to trust him in all circumstances, and to always remember who really is in control. Please continue to pray for Nadine. Give God the Glory for her medical visa that she found through Angel Missions Haiti. Thank Him for providing a hospital who will be giving her state of the art care for free. Thank Him for the host family who is taking care of daily needs and expenses. Pray for her family back here in Haiti as they miss her until she returns. I thank Him for those of you who have come to Haiti and had the chance to meet Nadine and everything you have offered, done and are still willing to do for this child of His. I am amazed at how many emails and FB messages I have gotten asking how they can help Nadine. Nadine is a part of His family and I think the Lord is proud of how His family is taking care of her. Don't worry. Dave and Sheree have Nadine already cheering for the Buckeyes!